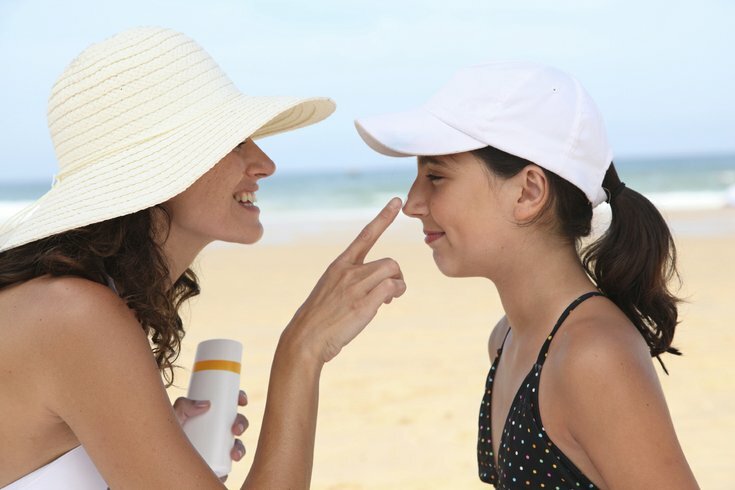 Researchers found that sunscreen is most often used by women on the skin of the face, and by people with higher household income. It's starting to get warmer out, but that doesn't mean you should run around in the sun all willy-nilly. Learn about sun protection and melanoma at the Sun Safety Walk & Learn in West Windsor, Saturday, April 11. Hosted by the Princeton Center for Dermatology, the three-mile walk will meander around Mercer County Park and be held alongside other activities about sun safety. Experts will be on hand for answering tough questions about protection, melanoma and sunscreen, too. The walk is all-ages and dogs are welcome. Each participant will get a T-shirt and a bag of goodies including, of course, tons of sunscreen. There will also be a raffle for prizes like Trenton Thunder tickets, movie tickets and admission to Longwood Gardens, Philadelphia Zoo and Adventure Aquarium. Sunkissed Airbrush Tanning will give attendees a faux glow and light fare will be provided. Proceeds will benefit Live SunSmart and The White Aisle Foundation, which raises money for melanoma research.